Day 3 of PTC5 (Main Rounds) started officially today. However none of the top16 players survived in the last 32 today. 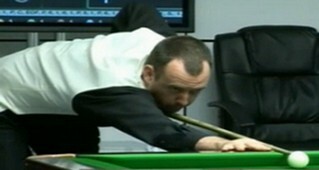 Pick of the first round match between Ronnie O'Sullivan and Mark Williams and the winner was Ronnie. Ronnie won comfortably 4-1 over Williams but he lost to Peter Lines in the next round. 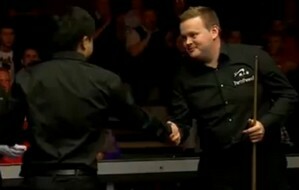 Jack Lisowski helped Ronnie for the revenge to beat Lines 4-3 to seal a place of last 16 on Sunday. Ding Junhui and Shaun Murphy needed to play in the morning right after playing Premier League in Mortherwell on Thursday night. Ding and Murphy won their first round matches in the deciders but lost to David Gilbert in last 64 and Anthony Hamilton in last 32. Gilbert and Hamilton are through to last 16. Stephen Maguire and Peter Ebdon was another interesting match but Ebdon won 4-0. Maguire looked in a bad mood in the match. He conceded last frame and the match while there were eight reds on the table. I am not sure if he will be penalised. Jamie Burnett, Joe Perry, Dave Harold, Ian Mcculloch and Andrew Higginson are the men who are through to last 16 on Sunday.